Kūčios (Christmas Eve) and Kalėdos (Christmas) feast was always one of the most significant celebrations to Lithuanians in the past and remains the same now. All of us know that Christmas is an important Christian holiday, and all celebrations are linked with the Christian church traditions. This is both true and not true in the case of Lithuania. The Lithuanians were the last European nation, who adopted the Christianity only at the end of the XIV century. 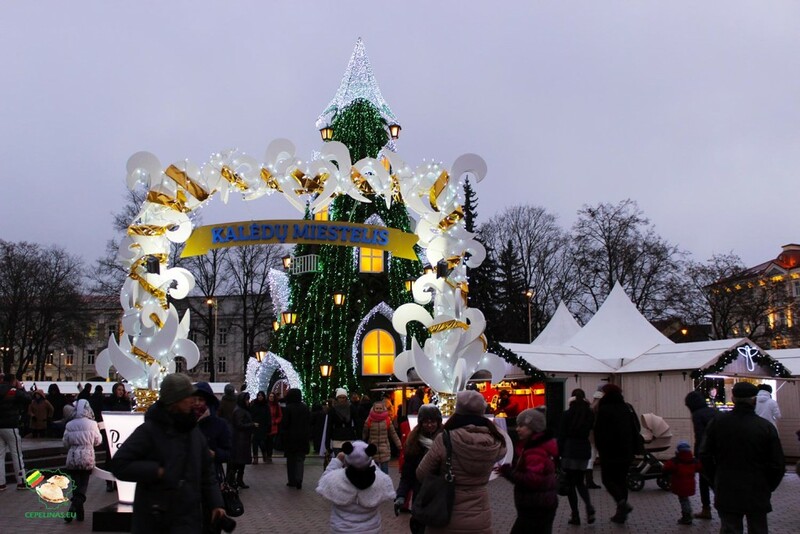 Thus, Lithuanian Christmas in detailed examination is the combination of the new – Christian and old – Pagan traditions. The important point is that the pagan spirit of this feast did not confront with Christian humanistic philosophy. What does it mean? To begin with, initially on these days Lithuanians, being Pagans, were celebrating the feast of the winter solstice, the end of the old year and the beginning of the new one. People believed that these days determine what kind of year it is going to be. Therefore it was a tradition of thorough cleaning, both inside and outside the house this time. On the December 24th, Lithuanian Kūčios, people were preparing a special dish “kutia” (common with Belarusians and Ukrainians), which was assigned to the souls of dead ancestors. The ritual supper was not eaten until the evening star appears in the sky. Until then, the bathhouse was heated, people bathe and dress up in festive clothes. Interesting is that the Kūčios, being a family feast, not only live but also dead members participate in it. The eldest family member was going outside to invite the souls of the ancestors, the cold, the wind and bees to eat together. On Christmas morning, December 25th, Lithuanian Kalėdos, the supper table was cleared away and checked to see if the souls of the dead left any signs of having been at the table. Then, after the adoption of Christianity, the church added some new meanings to this feast and introduced new, Christian, ways of celebrating it. 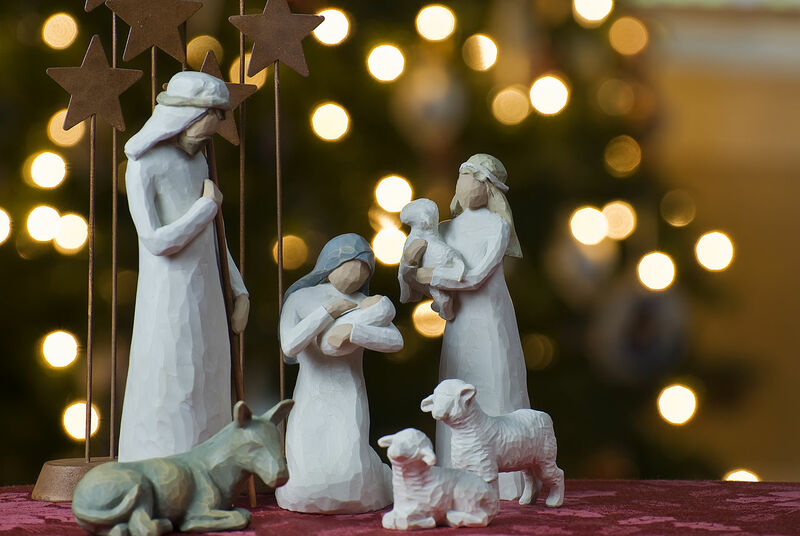 It means that the main sense of this holiday became the human God, Jesus’, birth celebration. From that time, the ritual supper on December 24th is dedicated to Jesus. On the other side, the feast’s sense of family celebration was not forgotten: it is hard to believe, but the tradition of the leaving dishes on the table to the spirits of the ancestors is alive and quite popular until nowadays. This can be also explained with the Christian tradition, that the baby Jesus allows the souls of all the departed to return to earth to visit their families. The ritual supper on the Christmas Eve also starts when the first star appears in the sky. In Christian meaning it symbolizes the Star of Bethlehem leading the shepherds. According to the tradition, the twelve different meatless dishes (because of the lent) should be served on the festive table, which represent Jesus’ twelve apostles. 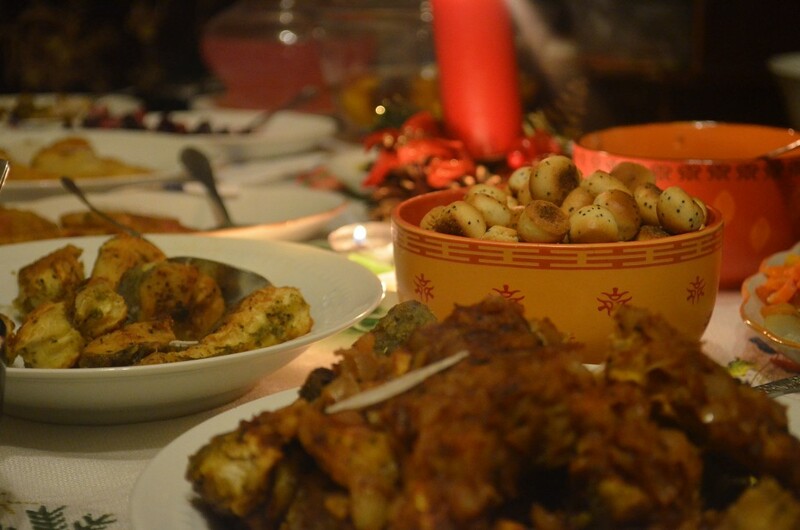 After the meal, everyone leaves the table to go to sleep or the midnight mass, known as the Shepherds’ Mass. The true Christmas celebration was taking place on the December 25. The Christmas lent ends this day, so it is allowed to eat meat dishes and to drink wine. Often it has been prepared pork and other meat. Christmas merry making continued until Epiphany, the feast of the Three Kings. Youth groups called alms collectors, darlings, and gypsies or by other names, walked through villages under the pretext of wishing good harvests while greeting all homeowners. They received gifts for their greetings. 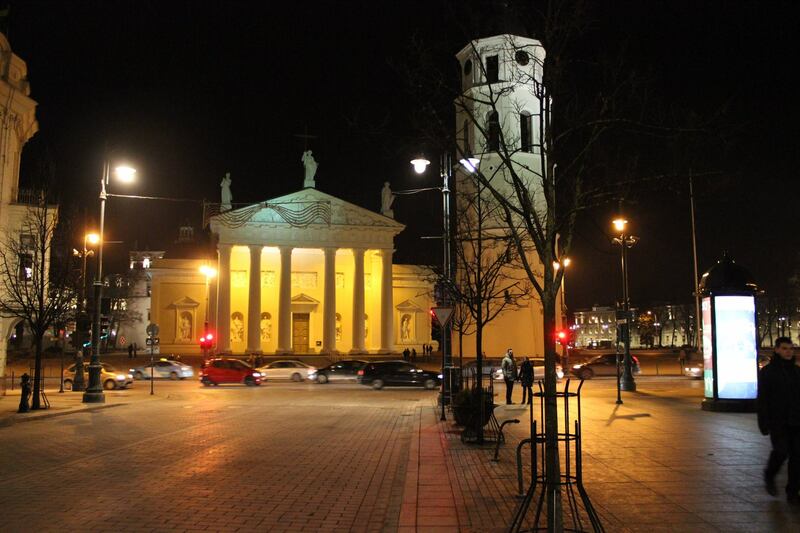 Nowadays, Christmas Eve and Christmas are the official holidays in Lithuania. Most of the young people and young families are going to their parents to celebrate this day all together. In this way, the ancient tradition of the early winter family feast with the religious meaning is preserved through the long centuries and is actual until now. Every girl in the room lights a candle. All the candles are placed on the table’s edge and blown out by the master of the house. The girl whose candle is not blown out will remain unmarried. At midnight, girls place two sacred candles and between them a glass filled with water, birch ashes and drop a wedding band inside. Looking through the glass, they will see either their chosen male or a coffin. Those who sprinkle a mixture of wheat and peas in the barn will have good animals the following year. After supper, the mistress of the house should take all milk pots outside and place all around the farmstead so that next year the cows will give much milk.